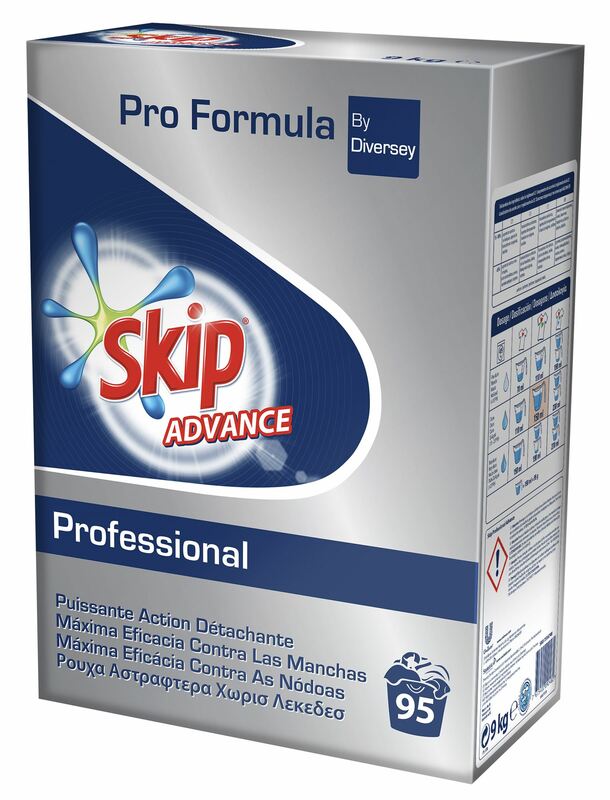 Skip Advance is a complete, phosphate-free powder for washing laundry. 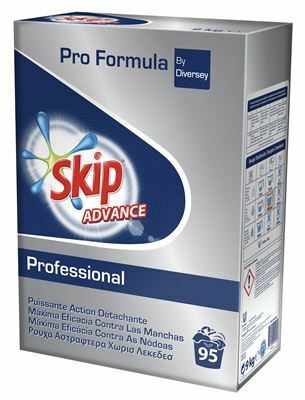 Skip advance is specially formulated for washing laundry in the workplace. Skip advance laundry is used in both hard water and fresh water. This detergent is suitable for frequent washing of all textiles, especially white items made of cotton or polyester-cotton and colored articles. Skip Advance is a complete, atomized detergent containing enzymes, optical brighteners, bleaches, a mixture of surfactants, sequestering agents, anti-graying and anti-corrosion agents, alkaline salts and washing activators for bleaching. active at low temperatures. The combination of surfactants allows an excellent dispersion of all types of stains, even fat, for an optimal elimination. Skip Advance contains silicates that are anti-corrosion agents, as well as optical brighteners that guarantee the whiteness of your laundry. - Excellent performance on a wide range of stains and stains. - Limits the phenomenon of graying of the laundry by keeping the soil suspended in the washing bath. - Guarantees an excellent degree of white. - Effective whitening at low temperatures, while respecting the linen. - Especially effective on protein tasks. As a first step, make sure the stains do not attach to the fabric by immediately applying salt or carbonated water. Then rinse the fabric with lukewarm water and let it soak in a solution of hot water and detergent overnight. Finally, wash your laundry immediately with Skip Professional Advance Laundry at the highest temperature the fabric can afford. This will allow the wine stains to oxidize.